After the first two events were cancelled (due to well reported issues with Humberside Police and East Riding Council), the series finally got underway at Walkington. It was a cold evening and rain was threatening from the off, with the downpour duly arriving on the third of the four laps. The event was won by Nathan Wilson. 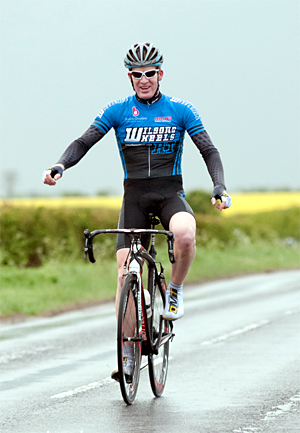 He rode away from everyone else for a clear win with a fragmented bunch sprint for the other places.